The acronym P.M. stood for Prime Minister, Tuilaepa Sa’ilele Malielegaoi, who is understood to be also the Minister of Immigration. Underneath the headline though, Prime Minister’s final decision was revealed. 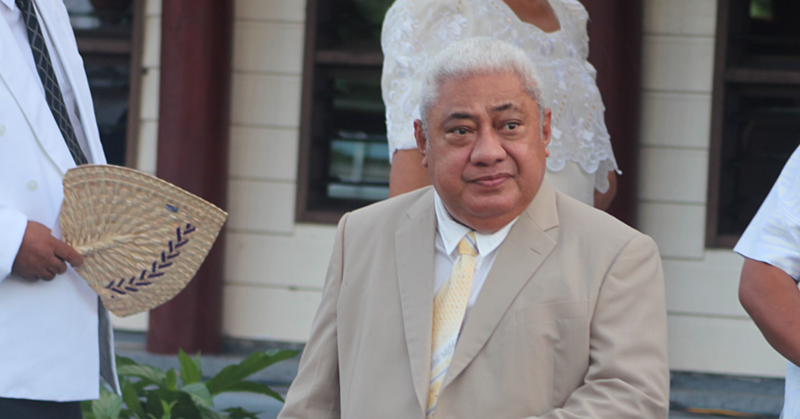 It said Tuilaepa had made up his mind that the former Head of State, His Highness Tui Atua Tupua Tamasese Efi, and Her Highness Filifilia Tamasese, will not be granted an extension of their diplomatic passports. In addition, Tuilaepa pointed out that he had rejected reports that his administration had decided to reconsider the decision, saying this was not a matter to be decided by Cabinet. Although he did not say which United Nation laws he was talking about, he went on to explain: “Passports are important travel documents that must be utilized in a careful manner. Is he suggesting that Tui Atua is bound to become so desperate, he’d somehow acquire a fake Diplomatic Passport from somewhere, and then he’d end up using it to travel when he’d use it to commit a crime? Tuilaepa said this is not the first time they have dealt with issues pertaining to diplomatic passports. He explained: “The passports are government property and the passports go with your role at the time. He’s a got a point there, old Tuilaepa Sa’ilele Malielegaoi! Now that’s brilliant thinking no doubt! He’s a genius all right our dear Prime Minister! Still, would he be kind enough to explain why his administration had decided to reconsider the decision pertaining to diplomatic passports, saying this is not a matter to be decided by Cabinet. Now which United Nation laws is he talking about now? It would be wonderful to know. 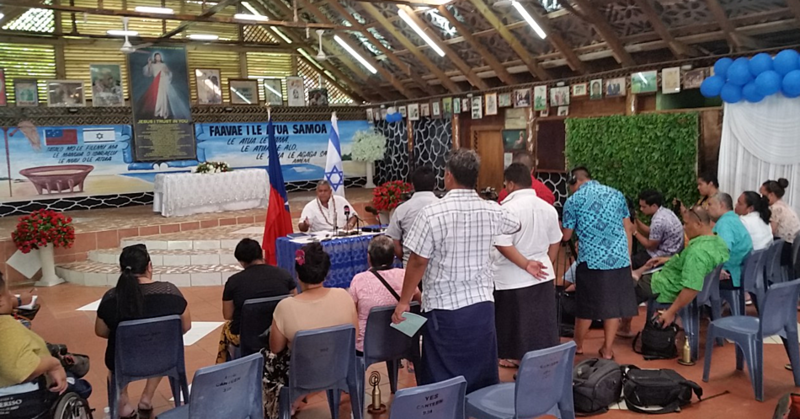 In the meantime, let’s take a look at how the governments of some of the countries we’re close to today, and how they’ve been dealing all these years with what we’d never imagined was a time-wasting exercise involving just a handful of Samoa’s silly, diplomatic passports. In Australia, for instance, Diplomatic and Official passports are normally issued only to people conducting diplomatic and official government business, and are restricted to people in specific categories and roles. The exceptions are former Governors-General - and their spouses - and former Prime Ministers - and their spouses - who customarily receive courtesy diplomatic passports, after their official duties have ended. Diplomatic and Official passports are issued to facilitate the travel of people who are employed by, or are acting on behalf of the Australian government. In fact, Diplomatic and Official passports, in themselves, do not confer on the holders any special privileges or rights. Individual countries may confer, at their discretion, certain rights to holders of Diplomatic and Official passports. In the United States of America, the law is quite clear. It says: “Each former President shall be entitled for the remainder of his life to receive from the United States government, a monetary allowance at a rate per annum, payable monthly by the Secretary of the Treasury. “The allowance is equal to the annual rate of basic pay, as in effect from time to time, of the head of an executive department, as defined in section 101 of title 5, United States Code [section 101 of Title 5]. “However, such allowance shall not be paid for any period during which such former President holds an appointive, or elective office or position in or under the Federal Government, or the government of the District of Columbia to which is attached a rate of pay other than a nominal rate. “The Administrator of General Services shall, without regard to the civil-service and classification laws, provide for each former President an office staff. “Persons employed under this subsection shall be selected by the former President and shall be responsible only to him for the performance of their duties. “Each former President shall fix basic rates of compensation for persons employed for him under this paragraph which in the aggregate shall not exceed $96,000 per annum, except that for the first 30-month period during which a former President is entitled to staff assistance under this subsection, such rates of compensation in the aggregate shall not exceed $150,000 per annum. “The annual rate of compensation payable to any such person shall not exceed the highest annual rate of basic pay now or hereafter provided by law for positions at level II of the Executive Schedule under section 5313 of title 5. United States Code [section 5313 of Title 5. Government Organization and Employees]. “Amounts provided for ‘Allowances and Office Staff for Former Presidents’ may be used to pay fees of an independent contractor who is not a member of the staff of the office of a former President for the review of Presidential records of a former President in connection with the transfer of such records to the National Archives and Records Administration or a Presidential Library without regard to the limitation on staff compensation set forth herein. “The Administrator of General Services shall furnish for each former President suitable office space appropriately furnished and equipped, as determined by the Administrator, at such place within the United States as the former President shall specify. “The widow of each former President shall be entitled to receive from the United States a monetary allowance at a rate of $20,000 per annum, payable monthly by the Secretary of the Treasury. “If such widow shall waive the right to each other annuity or pension to which she is entitled under any other Act of Congress, the monetary allowance of such widow commences on the day after the former President dies. “In the case of a former President, he is appropriated $1,000,000 for each fiscal year, and his wife is appropriated $500,000 for each fiscal year, for their security and travel related expenses. “One perk of the presidency is that even when you’re out of office, you get to keep your diplomatic passport. Incidentally, that is the law governing all democratic countries – and some undemocratic countries too – around the world today. What about Tui Atua Tupua Tamasese Efi, Samoa’s former Prime Minister and Head of State? Why is he being refused a Diplomatic Passport by his government, and Prime Minister Tuilaepa Sailele Malielegaoi, of Samoa?